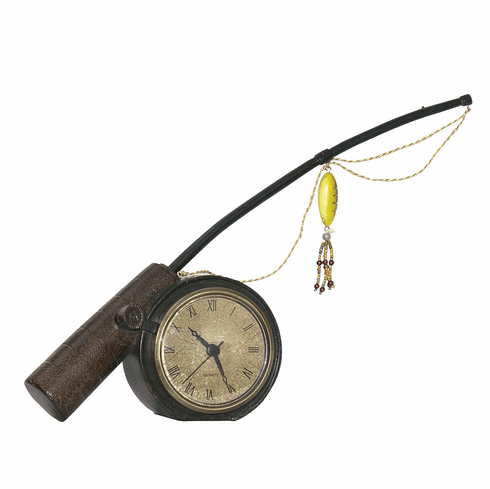 This mantel clock is great for the fishing enthusiast. Crafted with beautiful detail, this unique display clock features a rod and reel textured and painted resulting in a "weathered look". The tackle lure hanging from its corded fishing line is adorned with decorative multi-colored beads. Made from composite, acrylic and metal materials.